This February, Norfolk will host events and performances that honor African American History. From family-friendly to critically-acclaimed performances, there is plenty for everyone to learn and discover! So what are you waiting for? It&apos;s time to head to Norfolk celebrate Black History Month! Waterways to Freedom comes alive in an incredible, emotionally compelling self-guided tour. The story of slaves using local waters to escape north to freedom, the Waterways to Freedom honors Norfolk’s proud participation in the Underground Railroad Network. February 3, 2018, 2 p.m. The Chrysler Museum of Art commemorates Black History Month with a special Gallery Talk with Dr. Amelia Ross-Hammond, founder and executive director of the emerging African American Cultural Center, and Docent Becky Livas. See works from the collection that highlight the history, culture and many artistic contributions of the African American community. Free and open to all. Meets at the Welcome Desk. February 10, 2018, 10 a.m.-5 p.m. 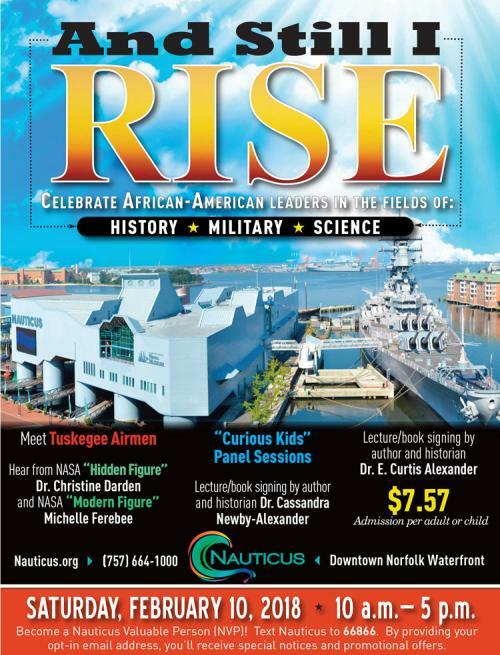 In celebration of our regional contributions to Black History, Nauticus will present “And Still I Rise,” a special day of programming featuring African American leaders in the history, military and science fields. The all-encompassing event will take place on Saturday, February 10, from 10 a.m. to 5 p.m. Admission $7.57. Children ages three and under are free. February 16, 2018, 8 p.m.
After a lengthy sabbatical, Midnight Star has reemerged ... back on the scene, with class, excitement, and those patented, infectious hit grooves and melodies that rock the house! TFC has a repertoire that spans six decades, from current top 40 hits to classic Motown, American Bandstand, and everything in between, crossing the generational divide. $45-$65 plus applicable fees. February 17, 2018, at 8 p.m. Known for her flights of vocal improvisation and her seriously swinging groove, Wade evokes the classic sound of Betty Carter and her idol, Sarah Vaughan. Wade’s style has been embraced by such jazz stars as Wynton Marsalis, who features her regularly at Jazz at Lincoln Center, and Christian McBride, who mentored her at his Jazz Aspen Academy. February 23, 2018, 7:30 p.m.
Feel the heat! In this dazzling show, high-energy Caribbean and West African music blend with electrifying dance to tell the story of Trinidad steel pan drums and calypso. Designed to captivate audiences of all ages, “Rhythm Live!” features young performers from the Virginia Arts Festival’s Rhythm Project and The Governor’s School for the Arts, who work for months to learn the historically authentic music and acrobatic dance moves. February 24, 2018, 1 p.m.
Don&apos;t miss retired NASA Human Computer and Engineer Christine Darden as she introduces the film and shares insight about the real-life story behind “Hidden Figures.” A screening of the film will follow. Join us after the film for a book signing in Huber Court. Free and open to all. February 24, 2018, 8 p.m. Producing Director Susan Albert Loewenberg presents “The Mountaintop.” Playwright Katori Hall imagines what may have transpired in the overnight hours between the legendary civil rights leader Martin Luther King Jr. and a hotel maid in room 306 the night before Martin Luther King Jr.’s assassination. 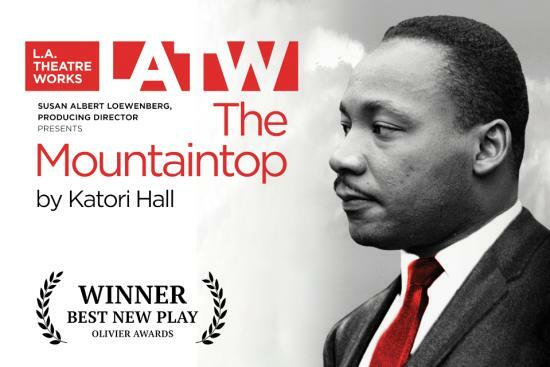 A hit on Broadway and London’s West End, “The Mountaintop” is “a powerful, poetic take on King’s legacy” (Los Angeles Times).